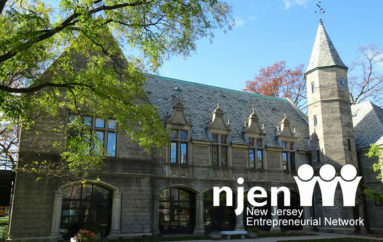 TRENTON – The New Jersey Department of the Treasury and the New Jersey Economic Development Authority (NJEDA) will host a second opportunity forum next week to help small, women, minority, and veteran-owned subcontracting companies (SMWVBEs) explore opportunities to work on the new state office building development projects underway in Trenton. 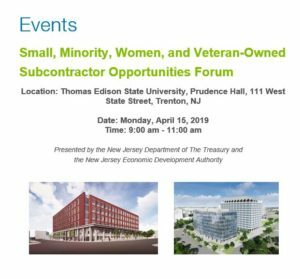 The Small, Minority, Veteran, and Women-Owned Subcontractor Opportunity Event will take place on Monday, April 15, 2019 from 9:00 a.m. to 11:00 a.m. at Thomas Edison State University, Prudence Hall, 111 West State Street, Trenton, NJ. 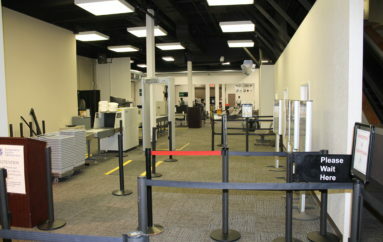 The State Office Building Development Project is a partnership between the NJEDA and NJ Department of Treasury, Division of Property Management and Consulting (DPMC) to construct new Division of Taxation and Department of Health buildings in downtown Trenton. 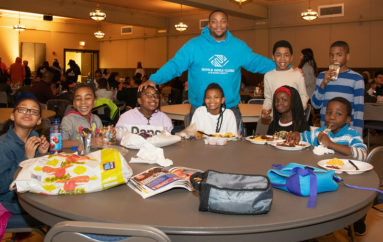 The project plans include a set-aside program with goals of ensuring at least 25 percent small business engagement, affirmative action hiring goals, and prevailing wage requirements. So far, 12 of the 20 professional services providers and 11 of the 24 subcontractors hired to work on the projects are SMWVBEs. Building on the success of the first Opportunity Forum in October 2018, the DPMC and the NJEDA organized the event as part of their efforts to create more opportunities for small businesses that may feel unprepared to work on large state projects. 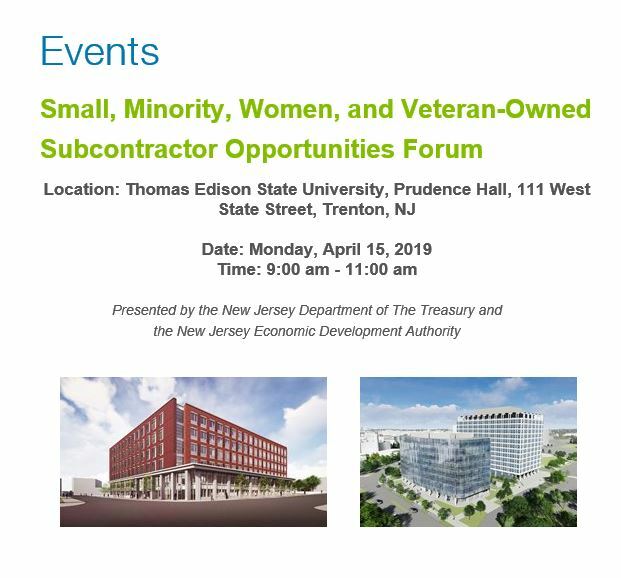 Representatives from Turner and Torcon—the developers overseeing the construction projects—will detail available subcontractor jobs while representatives from the Department of the Treasury, the NJ Business Action Center, the Department of Labor, the African American Chamber of Commerce of New Jersey, the Veterans Chamber of Commerce, and the Office of Diversity and Inclusion will provide information and advice on the steps subcontractors must take to qualify for these jobs and bid on projects. To learn more about NJEDA resources for businesses, call NJEDA Customer Care at 609-858-6767 or visit https://www.njeda.com and follow @NewJerseyEDA on Facebook, Twitter, and LinkedIn.